3 Bedroom Detached House For Sale in Colchester for £265,000. Situated in the south of Colchester is this spacious three bedroom detached family home. The property boasts a secluded rear garden, ample parking, downstairs cloakroom and en-suite to the master bedroom. The property has great transport links with numerous busses into the town centre, fantastic links to the A12 and three local train stations with direct links to London Liverpool street. 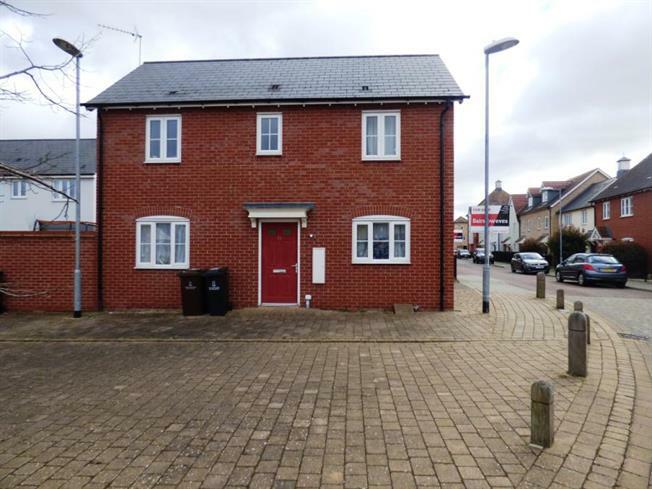 The nearest train station is Colchester town station which is approximately 1.8 miles away from this property. The local Ofsted rated 'good' secondary school is the Thomas Lord Audley school which is approximately 1.2 miles away with Montgomery infant and junior school being within close proximately, this is Ofsted rated 'outstanding'.